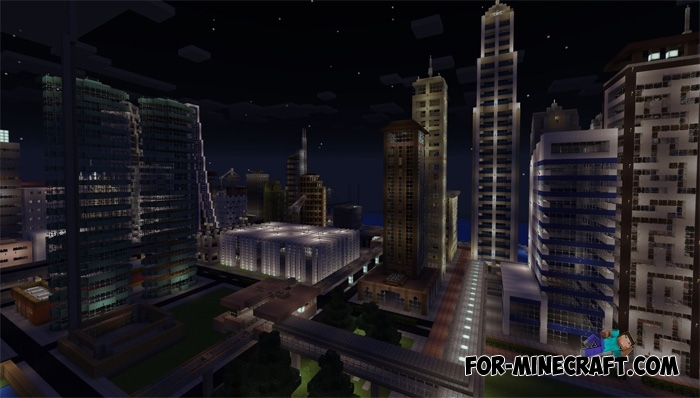 The city is built on a flat map and is designed primarily for creating quests and mini-games. Also the Megacity is an excellent platform for testing different vehicles including cars, motorcycles and helicopters. The file size is only 1.3 MB, so the map loads very quickly and does not slow the game. In the city you will find several skyscrapers and office buildings because of which the city refers to business centers. Other parts of the city are planned, which are already prepared for construction in the future. So far the area of the city is not so large, but it is planned to increase it several times. 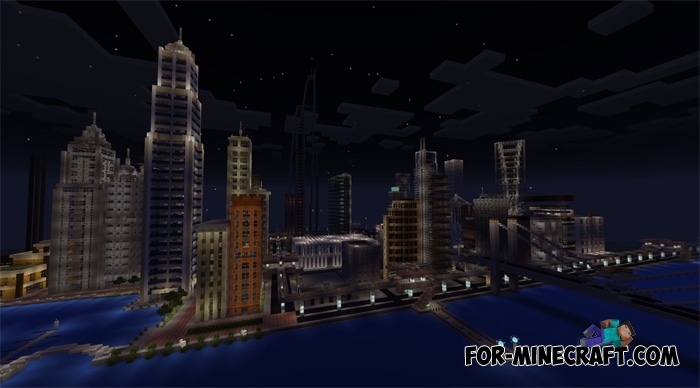 Custom Flat World mod (MCPE 1.0.X)But we offer you a simpler and easier way to create your world in the case when..